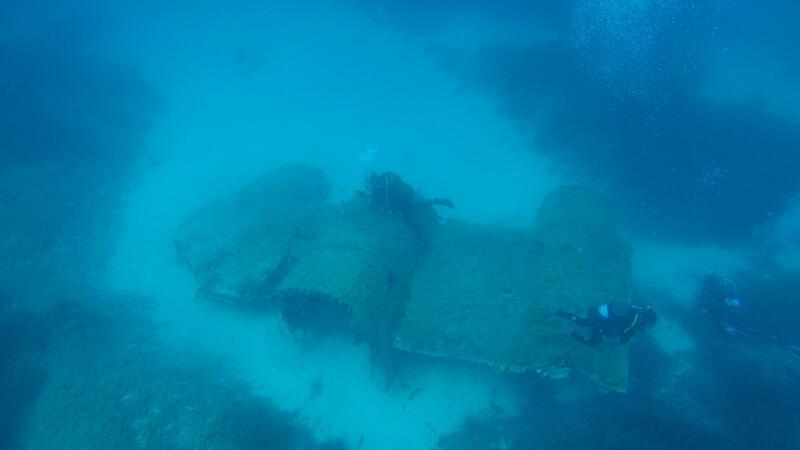 Lockheed P2V Neptune airplane wreck is located 500 metres offshore Bahar ic-Caghaq on the north-east coast of Malta. Neptune wreck lies at depth of 32 metres on a seabed of sand and Posidonia seagrass meadows. The plane wreck consists of only part of the fuselage without any major internal components and wing stubs with engine covers. The rest of the wings are nearby half buried in the sand. The airplane was scuttled in late 1950s and the wreck was discovered in 2015. 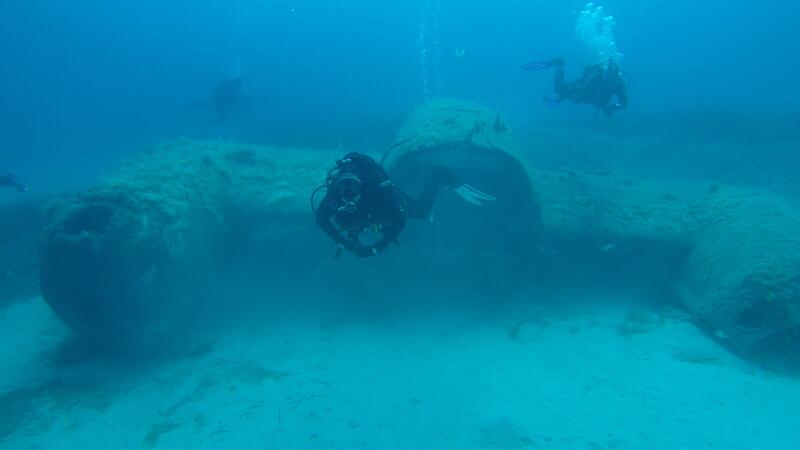 Other airplane wreck dives in Malta are Bristol Beaufighter, Bristol Blenheim Bomber and Mosquito Fighter Bomber. 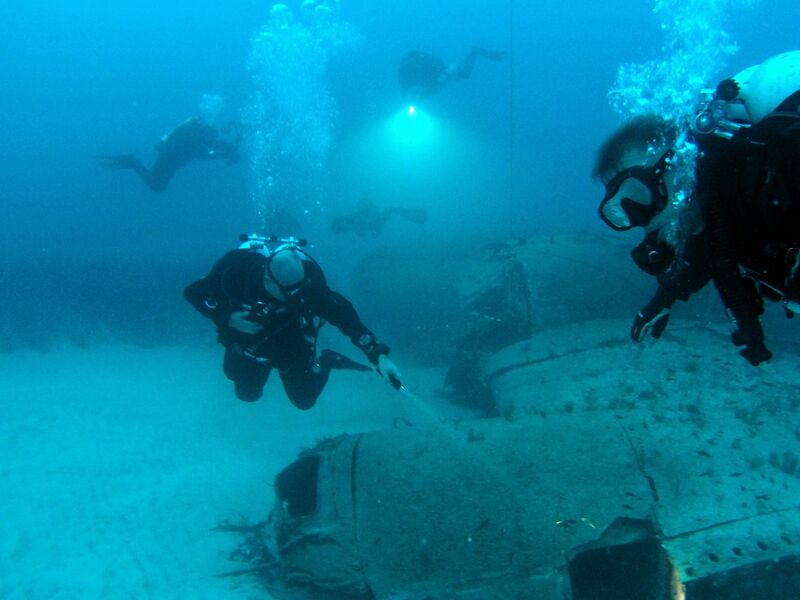 These plane wrecks are between 38 and 42 m deep. Furthermore, for technical divers there are three deeper airplane wrecks: Fairey Swordfish at 55 m, Junkers Ju 88 at 57 m, and Liberator Bomber B24 at 90 m depth. Lockheed P2V (P-2) Neptune was a U.S. built maritime patrol aircraft and submarine hunter. Royal Air Force operated Neptune MR.1 airplanes, a British designation of P2V-5. The twin-engine plane was about 24 m in length with 30 m wingspan. This Lockheed Neptune MR.1 with serial number WX547 was damaged beyond repair during a routine landing at Luqa airport in Malta on Friday 13th January 1956. The undercarriage collapsed and the aircraft never flew again. Royal Air Force removed all salvageable parts and the plane was sold for filming purposes in May 1957. Neptune was scuttled and then used for the underwater scenes in The Silent Enemy movie released in 1958.